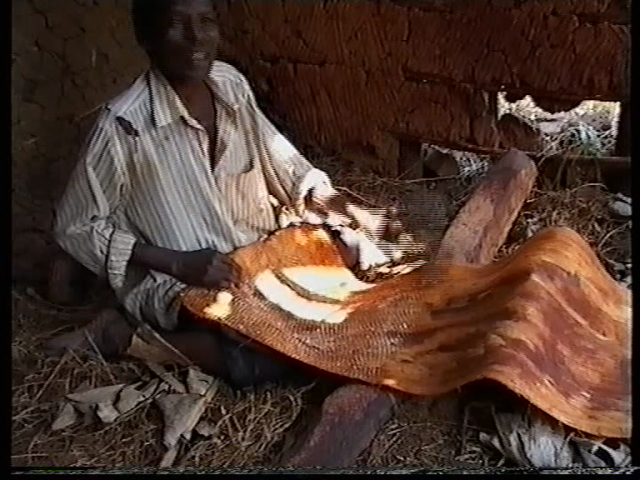 Bark-cloth making is an ancient craft of the Baganda people who live in the Buganda kingdom in southern Uganda. Traditionally, craftsmen of the Ngonge clan, headed by a kaboggoza, the hereditary chief craftsman have been manufacturing bark cloth for the Baganda royal family and the rest of the community. Its preparation involves one of humankind's oldest savoir-faire, a prehistoric technique that pre dates the invention of weaving.